Many Chileans are asking themselves what kind of energy future they want for their country. As the growing nation faces higher energy demands and prices. 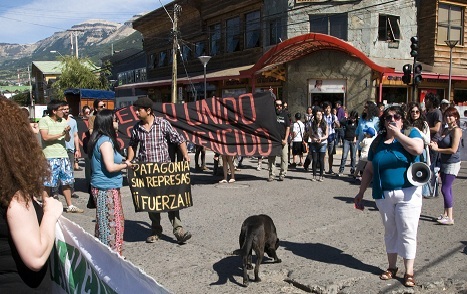 Government officials and business leaders have long seen the HidroAysén Dam project as the ultimate solution to expand the country’s electric grid, but the project has met met with fierce, sometimes violent resistance from student protesters in Santiago and residents of Chile’s Patagonia. 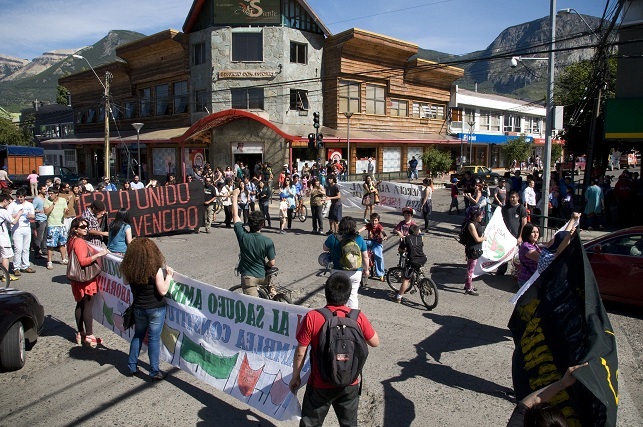 Photo: Protest in Coyhaique, Chile. Photo By Diego Cupolo. Three white windmills whirl high in the mountains above Coyhaique, one of southern Chile’s largest cities, and Patricio Segura Ortiz points often in their direction as he talks about the nation’s energy future. Sitting behind his desk in the cluttered office of Patagonia Sin Represas (Patagonia Without Dams), a national organization against the construction of hydroelectric plants in the region, Segura becomes animated as he speaks about the HidroAysén $11 billion megaproject that aims to build five dams in two of Patagonia’s largest rivers. It’s a question many Chileans are asking as the growing nation faces higher energy demands and prices. 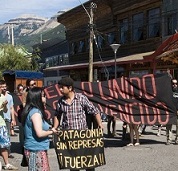 Government officials and business leaders have long seen HidroAysén as the ultimate solution to expand the country’s electric grid, but the project was met with fierce, sometimes violent resistance from student protesters in Santiago and residents of Chile’s Patagonia. As a result, the project has suffered endless delays, falling four years behind schedule as monthly demonstrations, headed by Patagonia Sin Represas, continue throughout the nation. The constant turmoil has caused Colbun, a 49 percent shareholder in HidroAysén, to consider selling its stake, raising uncertainty over the project’s future. Still, “there is nothing definite that will or will not happen,” according to Segura. HidroAysén was given the land and water rights to construct the dams in 2011 and is currently awaiting government approval to build nearly 2,000 km (1,300 m) of high voltage transmission lines that would relay electricity from the country’s southern regions to the nation’s central grid. In the meantime, HidroAysén has begun a new public relations campaign in response to the opposition, with one television ad in particular depicting a scene where the lights go out on surgeons as they perform an operation in a hospital, insinuation the consequences if the construction of the dams is halted. Regardless, environmentalists like Segura remain unconvinced and vow to continue fighting. The idea behind HidroAysén is nothing new. 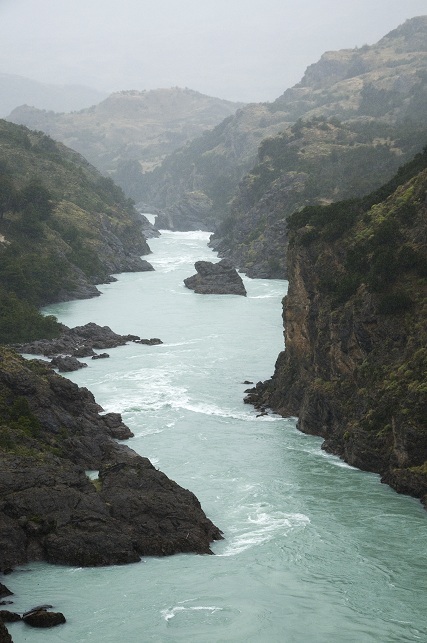 The damming of the Baker and the Pascua rivers, the two most voluminous rivers in Chilean Patagonia, has been on the drawing boards since the 1940s, but never moved forward due to geographical limitations. 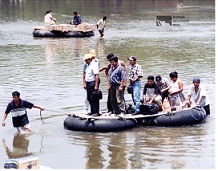 As technology and accessibility to the area improved, the project was reintroduced in the late-2000s as HidroAysén, a joint venture between Chilean/Spanish-owned Colbun and Endesa, the nation’s largest utility company. Despite popular opposition, HidroAysén received government approval to construct five dams – two in the Baker River and three in the Pascua River – that are expected to generate 2,750 MegaWatts annually. The decision gave fire to public demonstrations, which reached a violent climax in March, 2012 and put further decisions regarding the transmission line on hold. At the moment, a new government-appointed ministerial group is reviewing the HidroAysén proposal. Still, the core issue remains the same. Government officials insist Chile needs significant upgrades to its electric grid if the country is to keep expanding at its current rate – the gross domestic product grew at an average annual rate of 4.4 percent from 2001 to 2011, and 5.2 percent in 2012, more than double the world average, according to Bloomberg. Business leaders fear energy constraints will bring a premature death to Chile’s period of unprecedented growth. Electricity rates on the central grid jumped 75 percent in the last six years, putting a strain on the economy, especially in energy-intensive mining operations north of Santiago. The country’s steep energy costs have put HidroAysén at center of national dialogue, raising questions of how the Chile will develop as it aims to reach “developed nation” status by 2018 – a goal the government has set for itself. Photo: The Baker River near proposed dam site. Photo By Diego Cupolo. Back in Coyhaique, María Irene Soto, director of communications for HidroAysén, stands over a green and white map in her office and explains how the dams will make Chile’s energy problems an issue of the past. Holding photos of the Baker River her hands, Irene explained how the two rivers run through deep canyons that are especially advantageous for a hydroelectric project. The canyon walls act as natural barriers, pushing the river water forward for maximum energy production, while at the same time, minimizing the flood zone when the dams are erected. The problem, Irene admits, is the lack of public support. 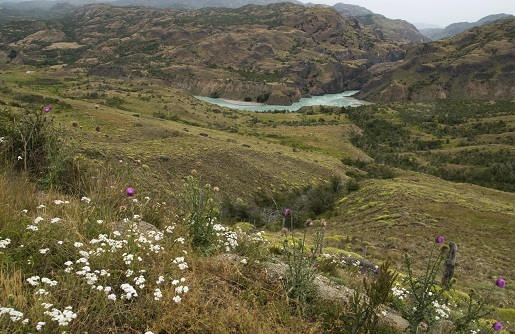 A recent poll showed more than 60 Chileans were opposed to the project and Irene blames millionaire conservationist Douglas Tompkins – co-founder of The North Face – for funding environmental campaigns through Patagonia Sin Represas. Irene pointed out how one of the organization’s billboards inaccurately showed transmission lines running in front of the Chile’s most famous natural attraction, Torres del Paine National Park, even though the dams would be built north of the park and the transmission line would avoid Torres del Paine all together. To improve its public image, HidroAysén has recently promised to cut electricity bills in half for the 90,000 residents of Chile’s Aysén region. The company also said it would create a conservation area larger than 28,000 acres and donate land to a national park to offset any environmental impacts caused by the dams. As Irene finished her presentation, neatly-dressed high school students filled the HidroAysén office to apply for university scholarships the company also began offering in late 2012. The HidroAysén scholarships cover 90 percent of tuition costs for select candidates in the Aysén region – which is no small offer in Chile, a country with some of the most expensive universities in the world. Silvia Rios Saldivar, owner of Coyhaique’s Camello Patagon Cafe, is one of the region’s residents that is in favor of HidroAysén. Further south in Cochrane, a town of less than 3,000 people, the debate over HidroAysén has heavier implications. One of the dams would be constructed about a half-hour’s drive outside the city on the Baker River. Inside a small cafe on the corner of the central plaza, a young mother, baby in hand, and an older man discuss whether or not HidroAysén will move forward. “It doesn’t matter what we do,” he says. “The government and business owners are going to build what they want and where they want it. There’s no point in protesting. The dialogue portrays the two sides of political thought in 21st century Chile and the owner of the cafe, Carlos Garrido Moneva, looks on and nods. Garrido says many Chileans believe HidroAysén will be constructed even if it’s widely unpopular. HidroAysén’s environmental impact review, the study that granted the project government approval, had significant omissions, Garrido said. For example, the study did not mention the occurrence of glacial lake outburst floods in the rivers, a type of flood that occurs when large reservoirs of water are released after the collapse of glacial ice due to earthquakes, volcanic activity or rising temperatures. Photo: Ramiro Trecaman Villanueva, community relations representative for HidroAysén, By Diego Cupolo. Aside from environmental impacts, the residents of Cochrane are also concerned with the project’s social impacts. Nearly 5,500 construction workers, double the town’s population, would arrive in Cochrane to work on the dams if they are approved. Throughout the entire HidroAysén debate, Chilean President Sebastian Pinera has remained a proponent of the project, but saw his approval ratings plummet to 27 percent in July for his handling of the protests and failure to create a more stable social climate for business investment. Pinera has received pressure from both sides, as mining companies like Coldeco, the world’s top copper producer, say they are planning billions of dollars worth of expansions in new extraction projects, but complain that they cannot move forward because of the shortage in cheap electricity – a serious problem considering mining accounts for about 15 percent of the GDP, according to Bloomberg News. While some environmentalists see the news of Colbun’s waning interest in HidroAysén as a step towards victory, a line of foreign utility companies like the State Grid Corporation of China have already expressed interest in taking over the project and continuing the work of improving its public image. Segura takes a moment to lean back in his chair as the gears in his head turn like the three windmills above Coyhaique. Like many Chileans, he knows the country has enough natural resources and the skilled workers to raise the living of standards of all its residents. If the government achieves it’s goal of becoming “developed nation” by 2018, it would make Chile the first Latin American country to do so. Note: Government officials, national and regional, were contacted and refused to give comment on the article. 1. Patricio Segura Ortiz, a journalist who serves as leading figure for the leaderless Patagonia Sin Represas in Coyhaique, Chile. 2. María Irene Soto, director of communications and community relations for HidroAysén.